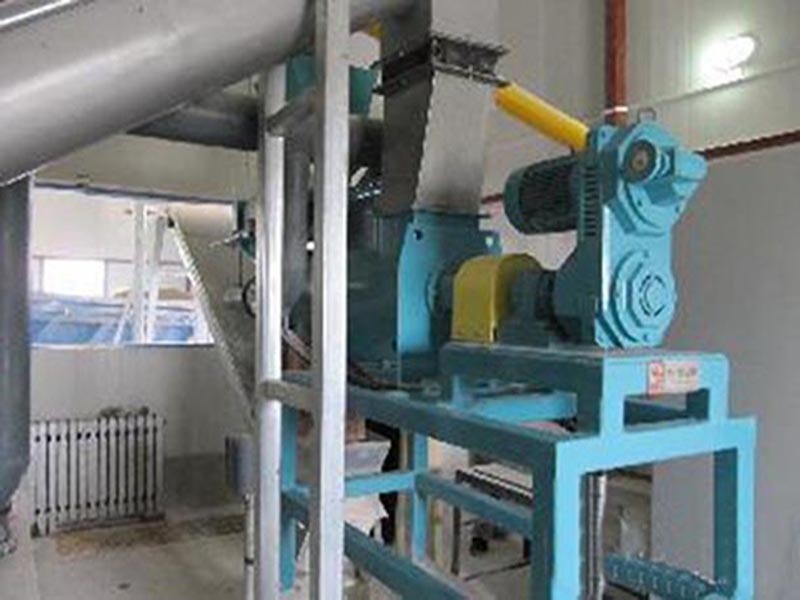 Applications: this type dryer combines with the thermal conduct principle of paddle dryer. 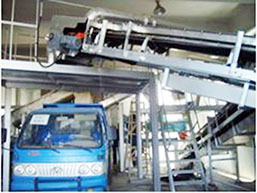 Developed from rake dryer, its drying efficiency is higher and can be used to various materials. Developed from paddle dryer and rake dryer, its drying efficiency is higher and application range is wider. Materials are mixed constantly by paddle and spiral belt. In the process of mixing, axial and radial reciprocating mixtures are carried out. Materials are dried more evenly. 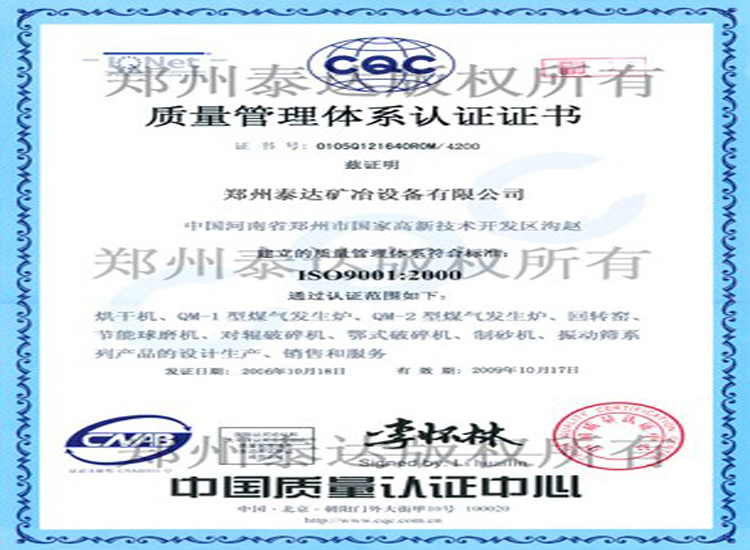 Thanks to the cooperating work of thermal-conduct paddle and spiral belt, contact between materials and thermal-conduction surface of dryer will be speed up in the process of mixing, which makes thermal efficiency improved. It is beneficial to moisture evaporation. 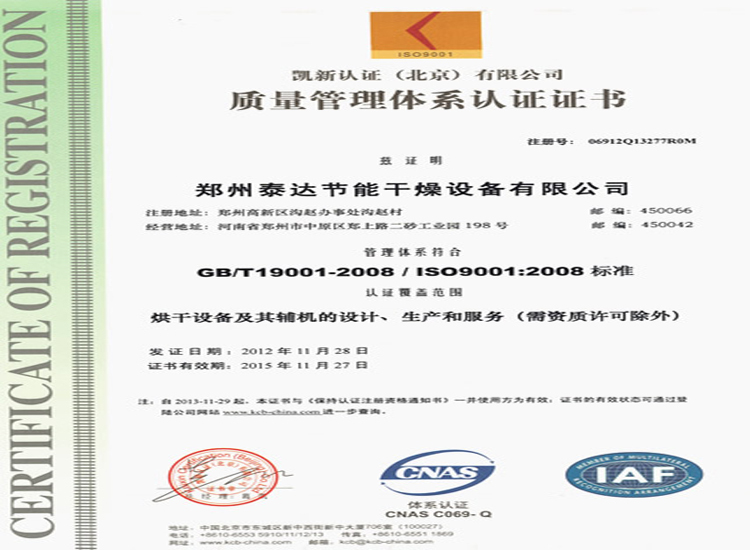 It can be applied to pharmaceutical, chemical and food industries to dry organic solvent, flammable and combustible materials. Drum which loads materials is set with heating jacket. There is an insulating layer outside the heating jacket to avoid the thermal expansion to environment. Heat loss is reduced. Discharge port is set at the lower part of drum body. Two feed ports and an air vent are set on higher part. Same amount of materials should be added from the two feed ports. Optimal feed amount is 60% to 80% of volume. Feed amount can’t be over 80% of volume, or the emission of evaporating gas may be affected. When the stickiness of fed materials is very strong, reduce feed amount properly in order to avoid overload of transmission motor and damage of equipment. Hollow transmission shaft is set in the inner center of drum body. Heating media is led to shaft (heat conduction oil or hot water). Paddles are spread on hollow transmission shaft with a certain angle. Paddle is hollow heat transmission type. 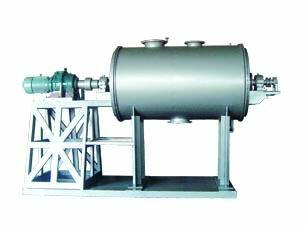 Heat conduction oil passageway is set in inner-side of paddle so that to make sure effective heat transfer in the whole drying process. 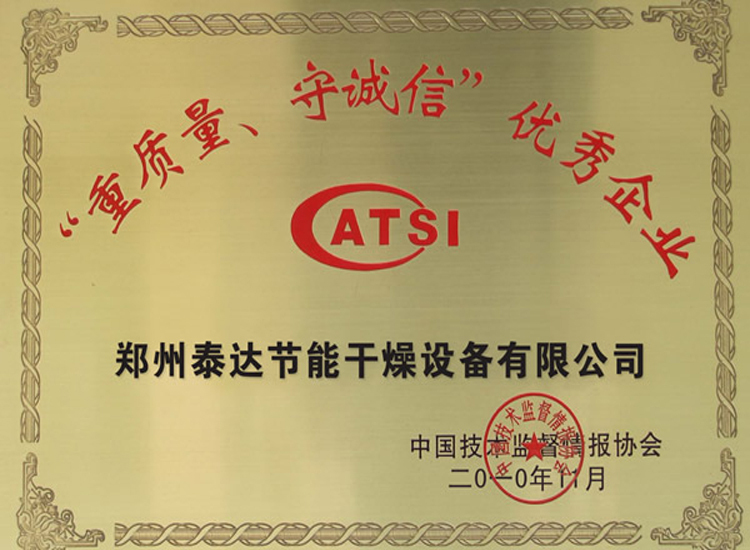 Seal: packing seal is adopted between shaft and drum body. Drive part: except some special specifications, equipment generally adopt chain or gear drive. Fulcrum shaft adopts double shaft type which combines cone roller shaft and deep groove ball shaft, which meets radial and axial force requirement at the same time. Can be applied to drying various materials. It is mainly composed of circular drum and a rotary hollow shaft installed in the drum. Hollow blades are placed on shaft. The heat needed by drying is provided by jacketed drum and hollow blade wall. In the process of drying, hollow shaft with hollow blades mix materials while heats materials. In this way, heating surface is updated. It is a constant conductive heating dryer. 1. Heating jacket is installed on cylinder which loads materials. There is insulating layer outer the jacket, which will prevent spread of heat and heat loss. There is a discharge port under cylinder body. On the top of cylinder, there are two feed ports and one air exhaust port. Materials should be fed from the two feed ports. Best feeding amount is 60% to 80% of total volume. Feeding amount can not be over 80% of total volume. Or the emission of evaporated gas will be affected. 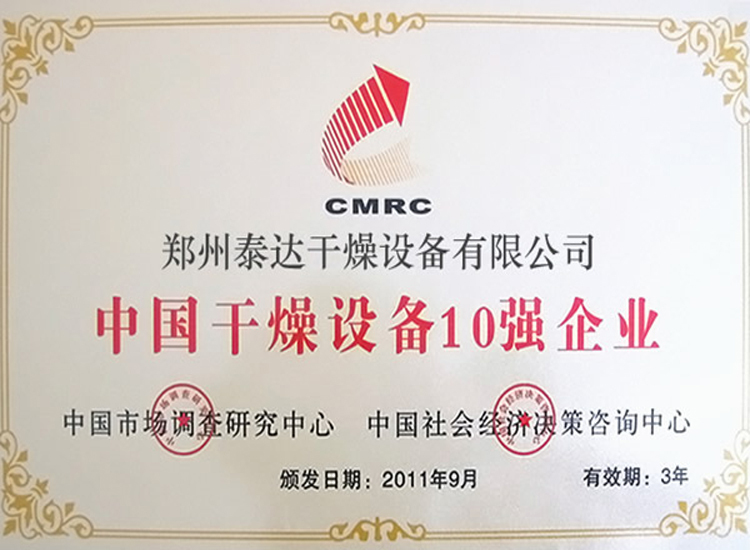 If the stickiness of materials is strong, the feeding amount should be reduced in order to prevent overload of motor and damage of equipment. 2. There is a hollow rotary shaft set in the center of cylinder. Heating media passes through shaft (heat conduction oil or hot water). 3. Blades are spread on hollow drive shaft according to certain angle. Blades are characterized by hollow heat transfer. In order to guarantee effective heat transfer, heat conduction oil will pass through cylinder. 4. Seal: stuff will be added between shaft and cylinder for seal. 5. Drive: except special specification, equipment always adopts chain type or gear drive type. Fulcrum roller adopts double shaft type which combines tapered roller shaft and deep groove ball shaft, whic can meet requests of radial force and axial force.